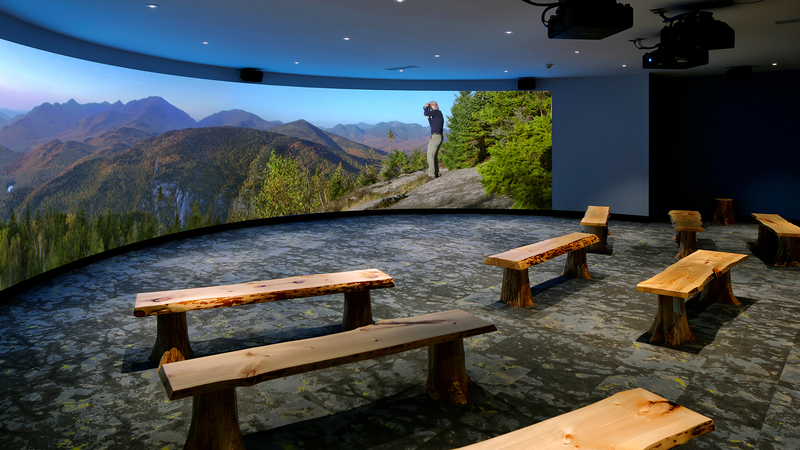 With immersive videos, one-of-a-kind interactive experiences, and evocative audioscapes, RLMG transports visitors to the Adirondacks and introduces them to the region’s dynamic people, rich history, and breathtaking natural beauty. 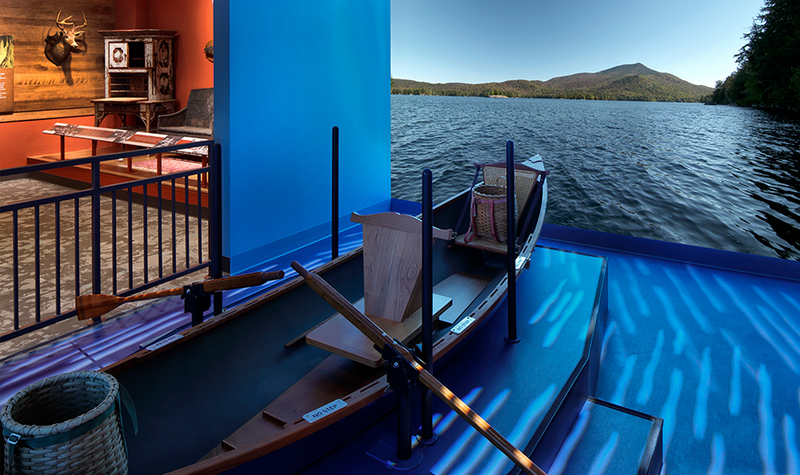 In anticipation of their 60th season, the Adirondack Museum decided to undergo a major transition. With a 121 acre campus and 24 buildings filled with collections, the museum had no shortage of space or stories to tell. What they were missing was a definitive centerpiece. 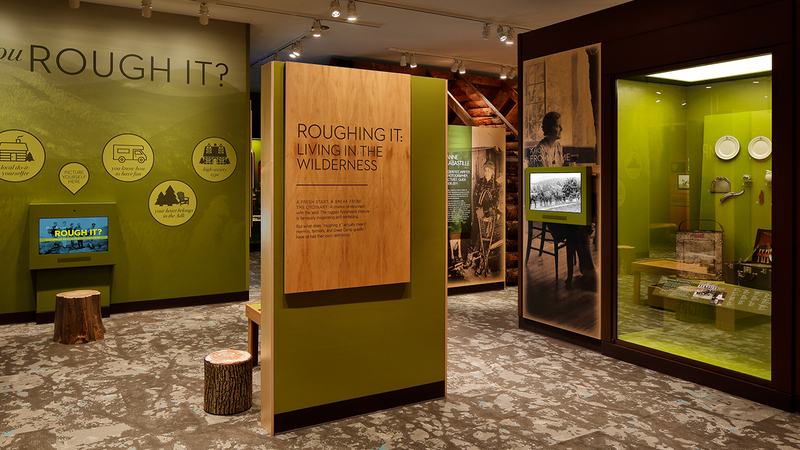 In partnership with the exhibit design firm Gallagher & Associates, RLMG began a four-year effort to create Life in the Adirondacks – 19,000 sq. 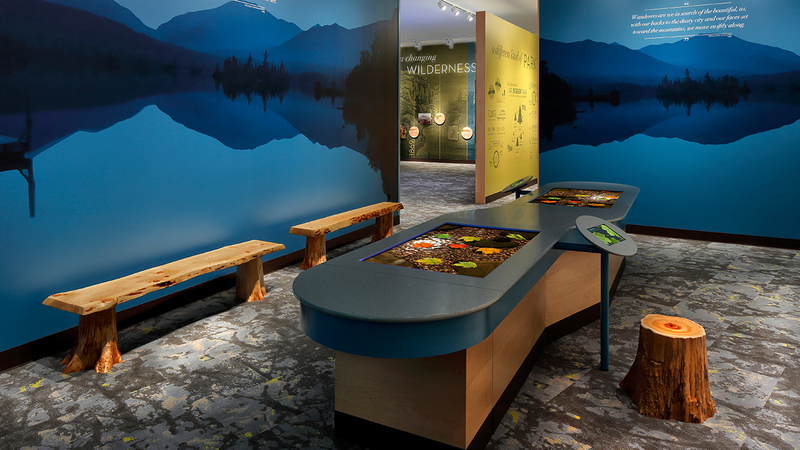 ft. of exhibition space that truly reflects the museum’s identity as an indoor-outdoor attraction and expresses the spirit of the Adirondack region and its people. 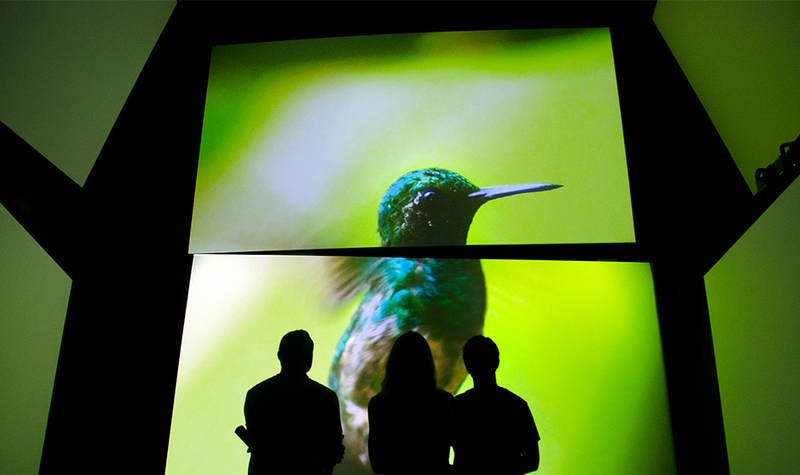 From the start, an important aspect of the project was the effort to thoughtfully and seamlessly integrate the beauty of the natural environment with an extensive artifact collection and digital storytelling platforms. 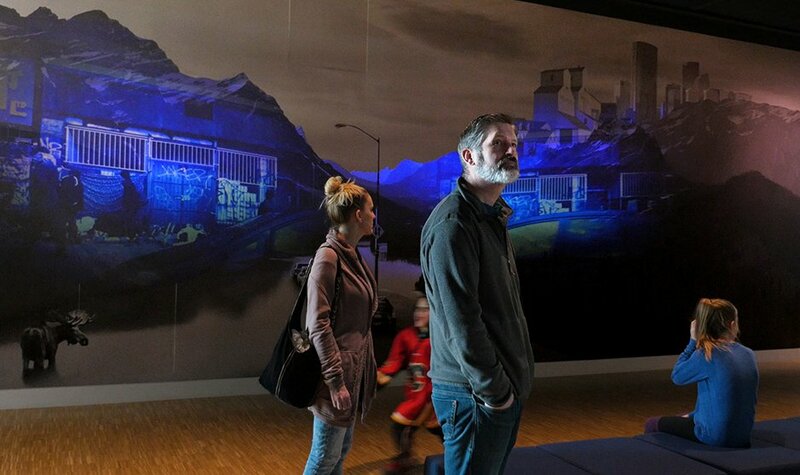 RLMG spent months capturing footage on-location throughout the Adirondack region to create immersive videos and audioscapes that transport visitors and draw connections to the objects on display. 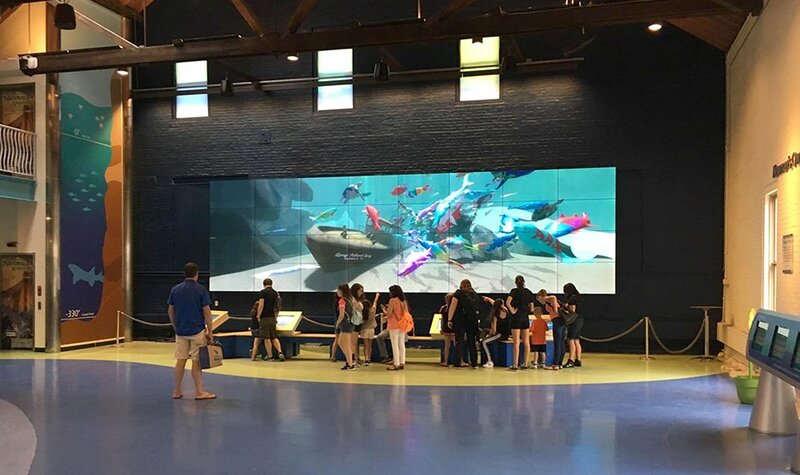 The iconic Wilderness Stories is a 40 ft. wide panoramic video that introduces visitors to the beauty of the Adirondack landscape and the overarching themes of the exhibition. 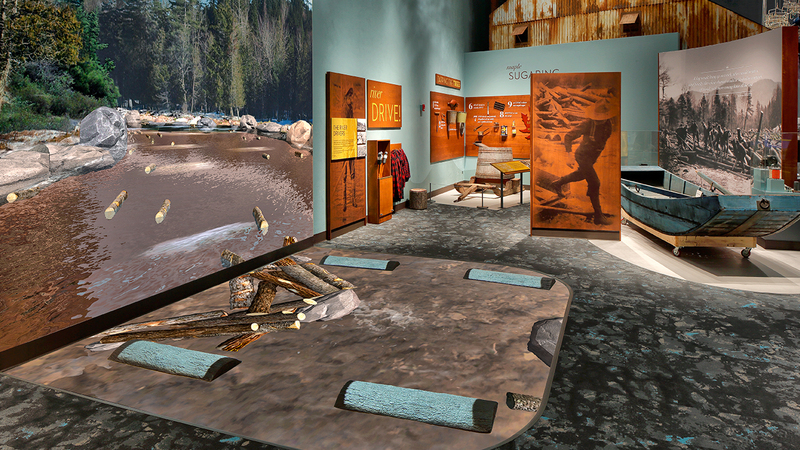 Other highlights include a virtual log-drive where visitors work together to ferry logs down a projected stream and an integrated simulation where visitors row a real Adirondack guideboat while immersed in responsive video landscape. 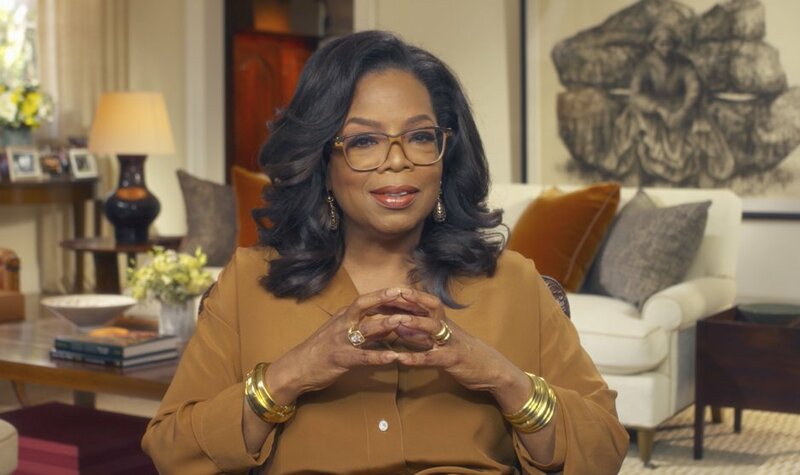 At a series of story stations, visitors meet Adirondackers past and present, and hear about their bonds and passions for the region. 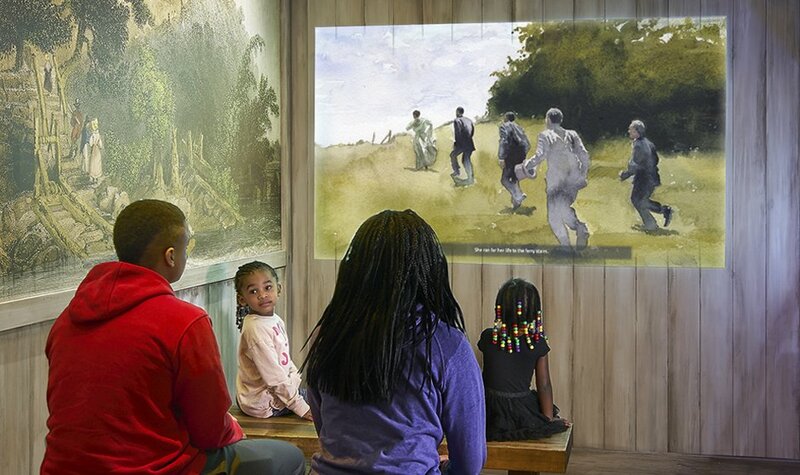 Before leaving, visitors can explore a communal touchtable, share a favorite Adirondack memory or story, and add it to those of other visitors.